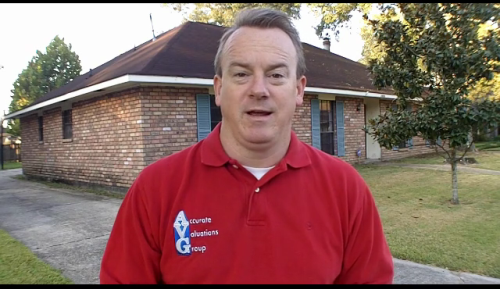 Greater Baton Rouge Home Appraisal Question Answered: Do I have to repair it now, or can I wait until the loan closes?My Appraiser Friend and Colleague, Tom Horn, SRA, in Birmingham AL just wrote an answer to many homeowners questions about needed home repairs discovered during the appraisal inspection AND this applies not only to FHA Loans, but Rural Development (RD or FMHA), VA and EVEN Conventional Loans in some cases. National Lender Refuses To Close Local Conventional Home Loan Refinance Because Borrower Won’t Make Required Repairs – repairs required by Lender. 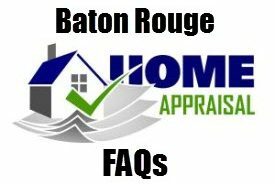 With the lower mortgage rates, many homeowners have chosen to refinance without thinking about or even preparing for the Baton Rouge Home Appraisal Inspection, about obvious needed repairs. In the photo above, this inspection was for a Conventional Loan where rotten wood, need for a new roof and a hole in bathroom ceiling were noted. This roof obviously needed replacement, there was no question about it. Even on this Conventional Loan, the lender is forcing the borrower to make the repairs prior to closing with verification by me on a second trip out to property and the borrower is refusing to do so. 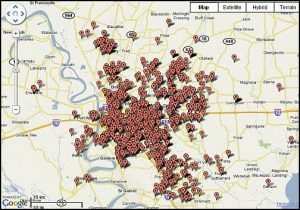 So, the lender won’t close this loan without the repairs being made!